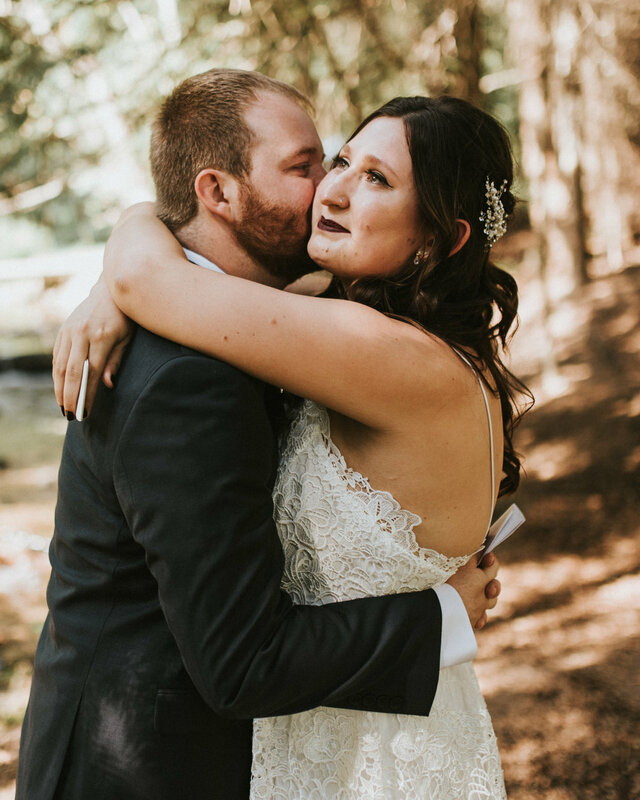 In 2018, I was so lucky to shoot some seriously cool / unique / incredible weddings. It was truly an epic wedding season! It really made me realize how excited I was about weddings where the couple did things a little differently, or they strayed from tradition to make it more personal to them. I saw some pretty amazing things at weddings last year, and it inspired me to share some ideas with you. Below are my tips for things to do on your wedding day to make it even better! 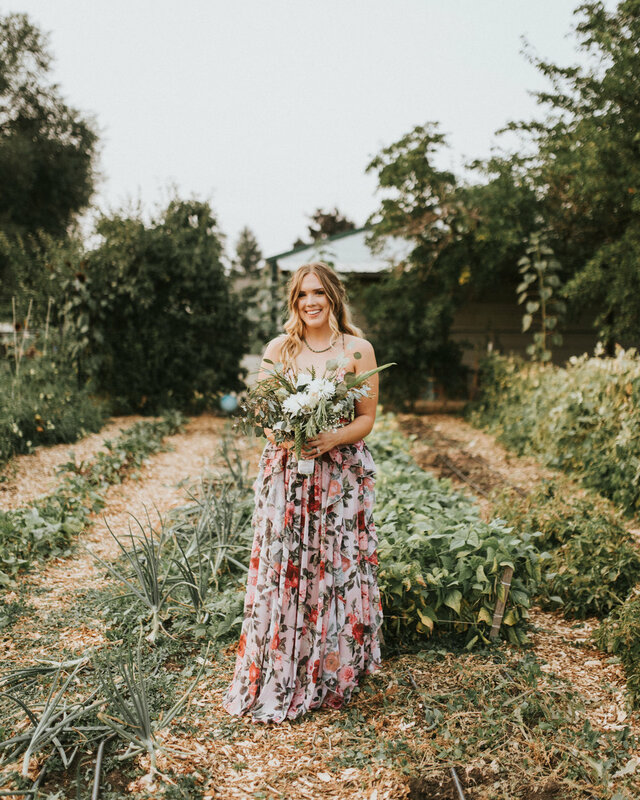 If I could encourage you to just choose one way to switch it up on your wedding day, this would be it! 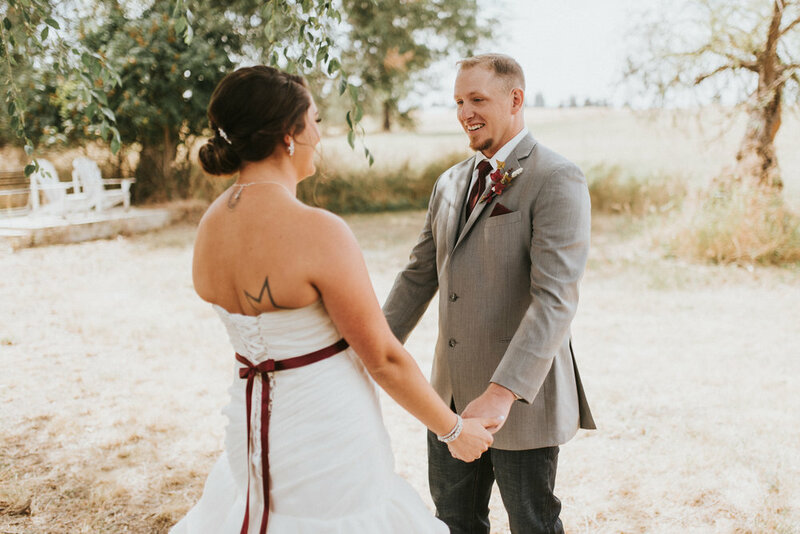 If you don’t know what a first look is, it’s when you and your significant other see each other for the first time, in private, before the ceremony. 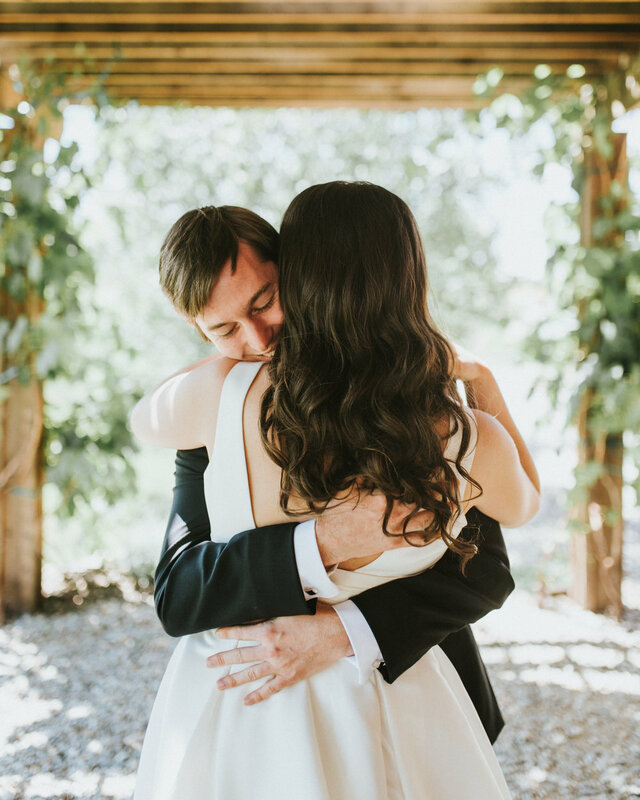 Some of the reasons first looks are so great are because you get to share that first moment together in complete privacy, you get to choose where it happens, you can squash the nerves of doing it in front of all of your guests, and it makes for some amazing photos! Bonus points if your read each other your vows during this time as well! I’ve gotten to shoot some of the most wonderful first looks during my time as a wedding photographer so far, and I’ve loved every single one of them. If you’re a client of mine and haven’t decided if you’re going to do one, I highly recommend it! If you have a super close relationship with one (or both!) of your parents, this is such a fun one to include as well! I’ve seen a lot of dads cry during these, and let me tell you, if only one thing makes me emotional during wedding days, it’s father-daughter interactions. (They get me EVERY. TIME.) It makes for some pretty sweet shots, and even better moments with you parents! This would easily be my second highest recommendation for your wedding day, after doing a first look. I cannot tell you how much it crushes me when I have the perfect photo of the ceremony lined up, and multiple guests have their arms out in the aisle with their cell phones or personal cameras to take photos! Here’s the bottom line. You hired me (and paid me!) to capture your wedding day to the best of my ability, and I promise that my photos will come out a million times better than ones your guests takes on their phones. Tell your guests to leave it in the hands of the professional, and also let them know that you want them to be fully present at your wedding, and not experiencing it through a screen. 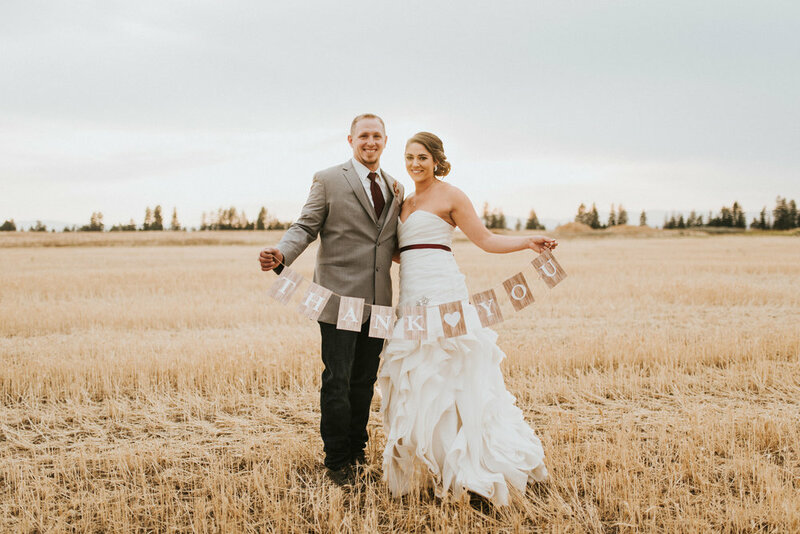 To do this, you can craft a cute sign to put at the entrance of your ceremony, or you can have your officiant make an announcement before it all starts! (Or both!) It’s as easy as having the officiant say “John and Katie have asked that you all please silence and put away your phones and cameras, as they’ve hired a professional photographer to capture everything, and would like you to all be presently experiencing this special day.” Once I deliver your photos, you can share them with whoever you want, so promise your guests that it will be worth the wait! It’s 2019, people, and we don’t have to just serve cake at weddings anymore. (Although I do live for a good slice of wedding cake, especially after I’ve been shooting all day!) Unique + different desserts are a fun way to excite your guests, and make the day more personal to you! Do you two love ice cream? Have an ice cream truck! Can’t decide on just one option? Have a spread with a few different options! Want to keep things simple? Do cupcakes for your guests and a small cake for you and your wedding party instead. There’s so many ways to switch this up! Can’t imagine yourself wearing white? Maybe you want to do something more on the casual side, or you’re just not a white wedding kind of girl? It’s okay if you want to do something different! Your day should be a true representation of you, and your dress choice is a perfect way to express your individuality. I’m not just saying this because I want to shoot more travel weddings (although, my feelings would totally not be hurt if I did! ), but because if you have a place that is special to you guys, or is just a place you love to spend time at, consider having your wedding there instead! It will mean more to you both, and it will also mean that you can do something smaller + low key (hello, saving money! ), and the people that do come will really care about being there, since they had to go the extra mile. (Pun only sort of intended.) 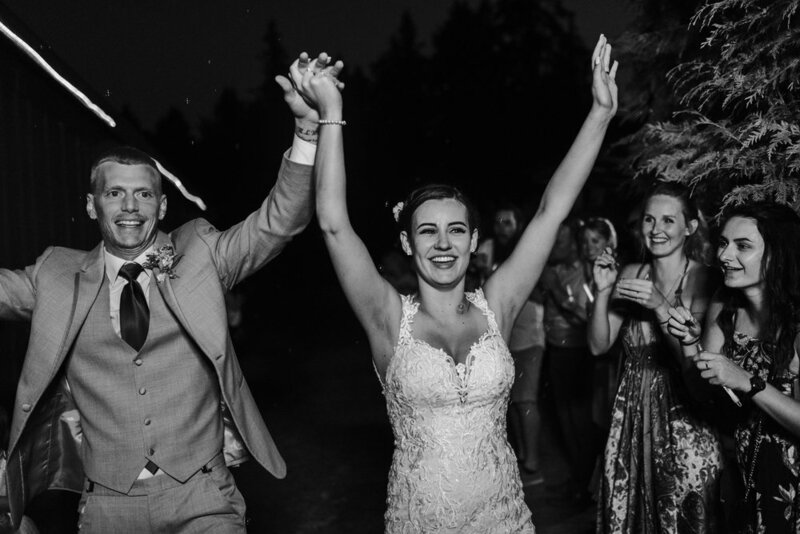 One of my couples got married in the mountains near Stevens Pass, WA last summer, not only because they loved that area, but also because they had a ton of family traveling to Washington for their wedding, and wanted them to experience the best of what this state has to offer! And, the scenery was incredible so you know we got some amazing photos out of it. 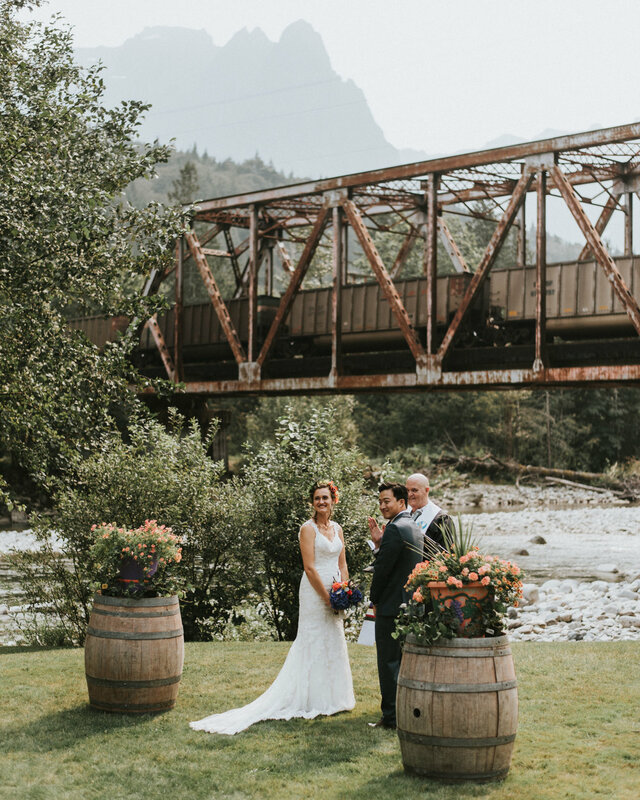 Their ceremony happened with the coolest rail bridge + Mount Index in the background. Another one of my couples got married in the garden that they cultivated all summer prior! If you’re planning a wedding and haven’t picked a venue yet, consider something outside of your local spots, or a place that has meaning to the both of you! I’m a huge advocate of this because I freaking LOVE golden hour light and everything it has to offer. Buttery, glowy backlighting? Awesome. Direct, moody full sun? I’ll take it. Not only will you get some of the best photos of you two together, but it usually works out very conveniently that sunsets happens during a time in your reception when you’ll be able to sneak away for little bit! This is one of my favorite parts of a wedding, and I promise you’ll be happy that we fit it in to the schedule. Below are all different examples of what a sunset portrait session could look like! This is something we can easily do during your sunset bridal portrait session! It makes for a perfect cover to your thank you cards, and I can send this shot to you right away so you can get a head start on those thank you. Bonus tip: put a basket with empty envelopes on your gift table for people to address to themselves, so you’re not trying to figure out everyone’s mailing addresses, and you save a ton of time! These are super fun, and a perfect way to end your day! I think they’re a much better finale to your wedding than guests slowly trickling out, and you guys heading out when things die down. Additionally, it creates a perfect ending to the story that your weddings photos tell, and it’s a nice way to tie up the ends. You can do all different kinds of sendoffs, but try to keep in mind what photographs well and what doesn’t! 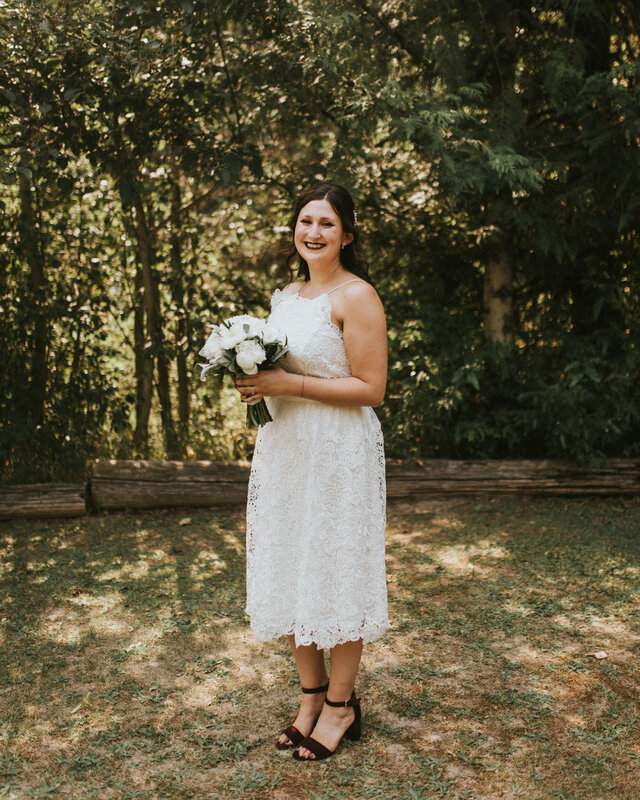 Sparkler’s are a classic option that look great, but make sure that there’s not a fire ban at the time of your wedding, in the county that you’re getting married in. Other good options if there’s still some light left are bubbles, confetti, coarse glitter, dried flowers, LED balloons (I saw an example of this and DIED at how cool it was), or leaves, if it’s fall! A couple of options I wouldn’t recommend are glow sticks (they don’t photograph well), chinese lanterns, or floating balloons. Sending something off into the sky might seem like an awesome idea, but it’s not great for the environment, given you don’t know where they’ll land! Whether you choose me to photograph your wedding or not (although I hope that you will! ), I hope that this gives you some ideas on how you can make your wedding day special and unique. What I love about shooting weddings is that each one tells a different story, and each one has different components! To those of you who want to stray from tradition, I salute you. And to those of you who want to keep it traditional, that’s totally fine too! As long as your wedding day is a true testament to your guys’ story, that’s all that matters. But just remember that you are allowed to make changes to the norm to tell that story even better. 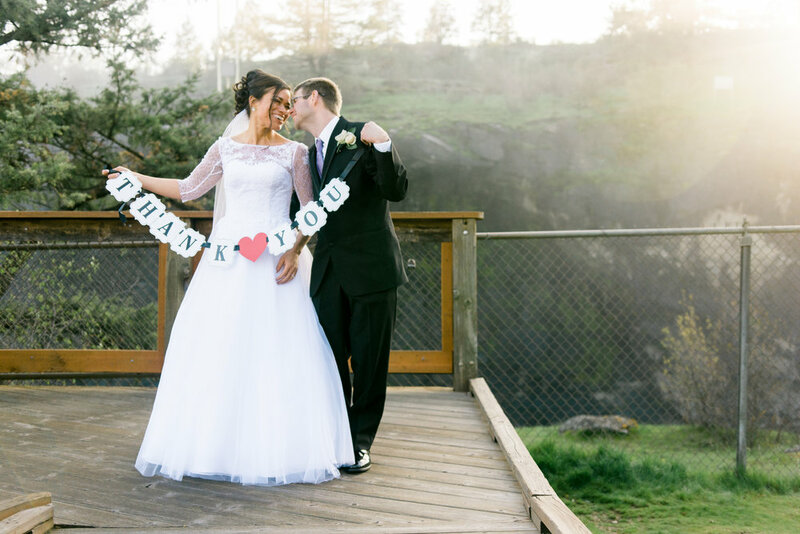 Did you do something fun or different on your wedding day? If so, let me know in the comments below!